#6Degrees is back again, how quickly the month comes around! Hosted by Kate at Books are My Favourite and Best this month’s starter book is Revolutionary Road by Richard Yates, and once again I have read it! Revolutionary Road is a story revealing how The Great American (Postwar) Dream creates dysfunctional families. (See my review). Now while I can see that systemic reasons lie behind various forms of dysfunction, I thought it was absolute rubbish when I read on Twitter recently that ‘all families are dysfunctional in some way’. Well, no, they’re not. There are plenty of families around that are functional, and it’s a misuse of the word, and a way of denying the real misery of genuinely dysfunctional families, to appropriate it for families that are just experiencing the everyday business of individuals getting along together, or not. 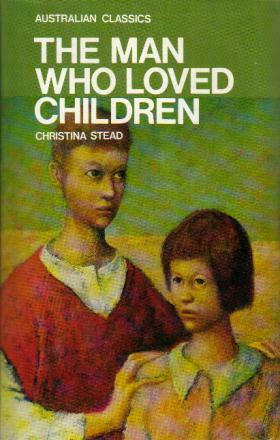 A genuinely dysfunctional family that comes to mind is the one depicted in Christina Stead’s The Man Who Loved Children. As I said in my review: The title is ironic. Sam Pollit does not love his children at all. This novel is a withering dissection of a dysfunctional family, a story to challenge any Brady Bunch stereotypical ideas about family life forever. Most horrific is that Louisa is so used to verbal and physical abuse from her stepmother that she barely reacts, and worse still is that her father witnesses the violence from the window and does nothing about it. Stepmothers, of course, often come in for a bad rap in fiction. 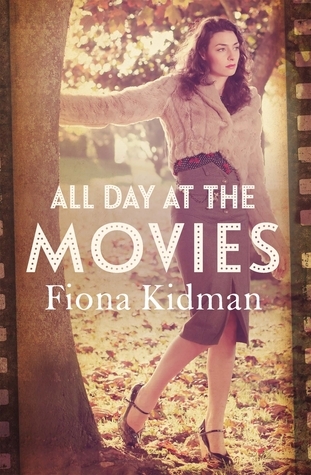 The ironically named Charm in Fiona Kidman’s All Day at the Movies (see my review) is brutal to Belinda and her siblings Grant and Janice, but when Belinda shows her father the rope burns on her wrists, he tells her that she’s knocking around with the wrong sort of friends. Fortunately Belinda gets a second chance through being able to access the education denied to the older women in the novel, but it’s no thanks to the father who turned a blind eye to what was going on. Whether it’s a case of turning a blind eye or deliberately orchestrating a cover up, the Catholic Church is now notorious for systemic child abuse in its institutions. 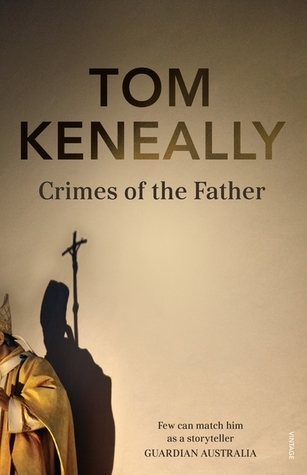 Tom Keneally tackles the issue in his new novel Crimes of the Father (see my review) where his imperfect hero Father Docherty tries to warn his superiors that they need to face up to what is going on. He has already been exiled to Canada for holding Leftie views during the Vietnam era but on his return to Australia for a conference he becomes aware of proof of abuse and tries to initiate action. Up against personal prejudice against him and the secrecy and arrogance of the prevailing ecclesiastical culture, he seems like a man against insurmountable odds. The book I have just finished reading is another case of a man against insurmountable odds. 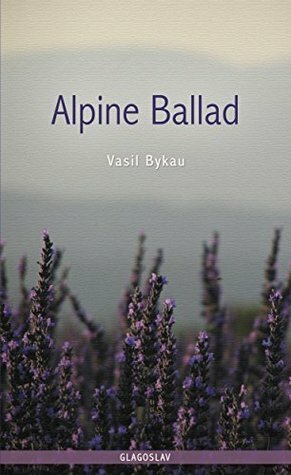 Alpine Ballad by Vasil Bykau (see my review) is the story of a Belarusian POW on the run after his escape from a Nazi camp. His escape is made more difficult because an impulsive Italian girl is also on the run with him, and the noise of her impetuous laughter attracts the Gestapo search party and their dogs. She speaks no Belarusian and he speaks no Italian so they have to communicate with a limited vocabulary of German as they try to make their way over the inhospitable alps. Bykau’s writing is brilliant: you can almost feel the winds pierce their inadequate clothing and the snow on their bare feet. Another book where the weather brings great peril is Cate Kennedy’s The World Beneath. (See my review). A man takes his daughter hiking in the Tasmanian Wilderness, but too busy proving that he’s a great dad to his ex-wife, he fails to make adequate precautions for Tassie’s changeable conditions. The adolescent daughter Sophie, estranged from her father for fifteen years, provokes Rich into abandoning the recommended hiking path with her scornful contempt for him, and then the weather turns nasty. Kennedy evokes the cold, the hail, the fog, and the biting wind of this remorseless environment with an authenticity that will have the reader reaching for the extra warmth of a blanket! Just recently I learned something about blankets that I should have figured out for myself. As most people know, blankets were often traded or used as bribes during the dispossession of Australia’s indigenous people. Sometimes they were traded for beautifully-made possum-skin cloaks which were not just warm but also rainproof, and the too-efficient distribution of the inferior blanket is said to have contributed to the spread of diseases such as the common cold. But the possum-skin cloak was also a cultural history of the wearer through symbolic decorations and they were handed down as heirlooms through the generations. 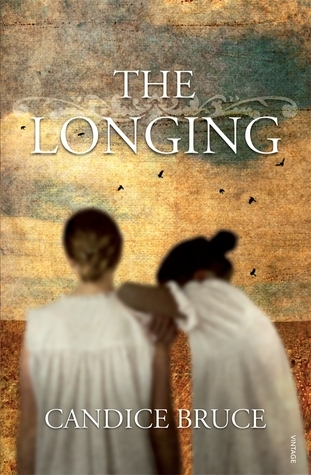 The use of one such possum-skin cloak is told in Candice Bruce’s powerful novel The Longing, (see my review) and you can read it in this Sensational Snippet. From dysfunctional families to heirloom blankets, that’s my #6Degrees this month! What a great selection! After reading your description, I’m very interested in reading The Longing. I hope you can get a copy. Sadly, it’s out of print. The longing sounds great, Lisa – I must have seen your review but I’d forgotten it. Sounds fascinating. Enjoyed your links. This is a fun meme. I find it amazing how we connect books to each other. I will be reserving The Longing with my library (they have 3 copies), when I return from Tasmania in mid January 2017.